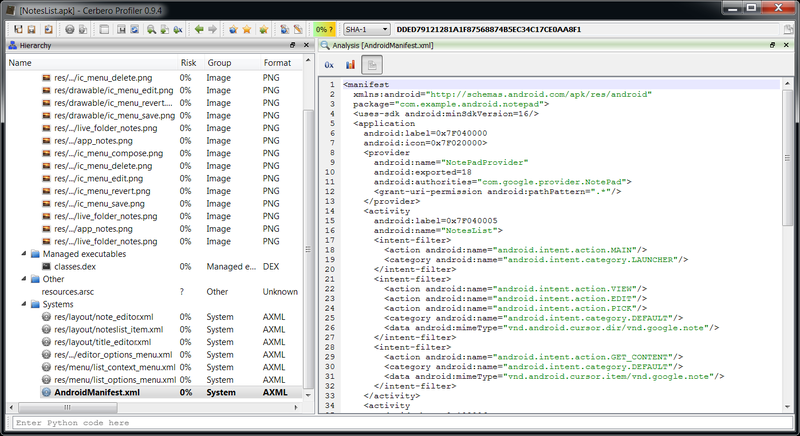 The upcoming version 0.9.4 of the Profiler adds support for Android’s binary XML format (such as that used by AndroidManifest.xml). The converter can be used from Python as well as a filter called ‘android/from_axml‘. The new version will be out in a few days. Stay tuned!